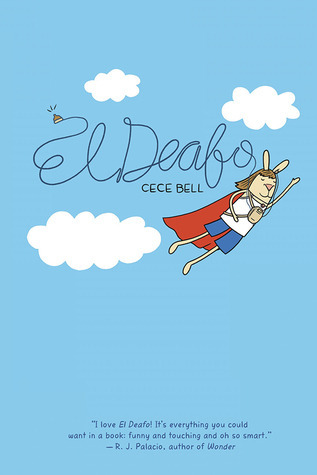 El Deafo is a funny and sweet tale about a young girl coming to terms to living with her newly acquired disability, a hearing loss as a side effect from meningitis. What makes the book special is that each character has idiosyncrasies which make them feel more authentic than the traditional flat graphic novel character. For example, Cece wears a bathing suit whenever possible. This is the rare autobiographical graphic novel that introduces readers to the reality of the subject without requesting sympathy. The story flows easily and educates in the process. 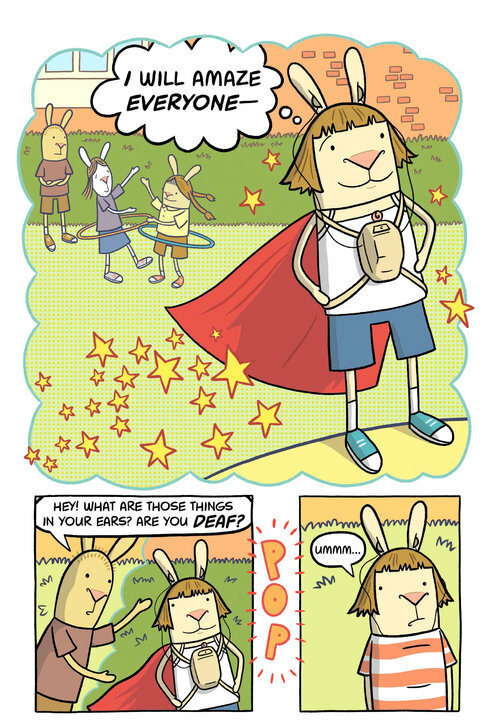 The drawings picture book quality and become electric when Cece dons her alter-ego super hero. This is a fun, inspirational read which would benefit any child and should be used by parents and teachers alike to encourage empathy and understanding towards people with different needs.